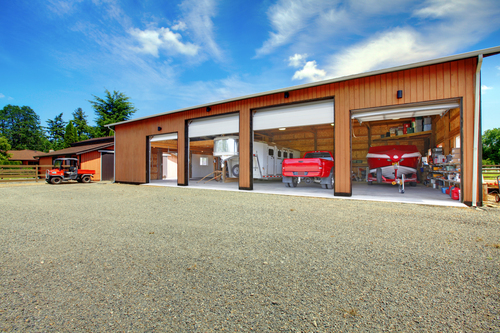 A modern barn that allows room for horses and plenty of storage. While no one likes to think of injuries and death, agricultural enterprises, including equestrian-related facilities and farms, are among the most hazardous workplaces. Although accidents with machinery and vehicles account for over half of fatalities, falls, fire, structural inadequacies, horse-related injuries, and respiratory diseases are legitimate concerns for the equine community. Over 50% of fatal accidents result from the use of machinery and vehicles in a farm setting. Common sense should be used whenever working with machinery and vehicles. All machinery and vehicles should have regular safety checks. Horse trailers should be kept clean and in good repair, and safety procedures should be in place for both loading and unloading horses. 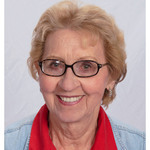 Tractors, three-wheelers, and other small transport vehicles should be ridden and used only by those with the respect and know-how to safely operate the equipment. Many barn injuries are the result of slipping or falling, with the most common site for a fall being the hay loft. Unstable pieces of equipment allowed to remain in the horse area, or slippery or uneven floors are a close second. Anything, from a dropped horseshoe to a piece of fencing wire carelessly thrown against a wall, can cause more damage to horse or human than can be imagined. Quite often, little thought is given to up-keep and safety checks of barns. Since barns pose safety hazards to owners, workers, and visitors, a little time and effort can lessen or eliminate hazards and create a safe place for both animals and people. Any place horses travel in a confined space there is danger. 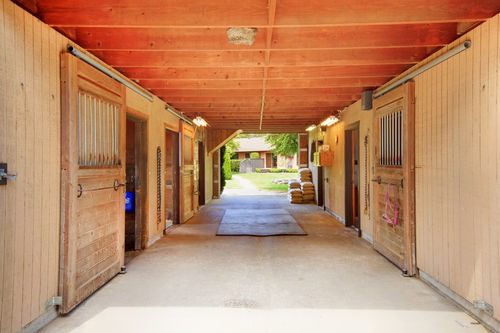 Barn aisle must be kept clear to provide a safe environment for both horses and humans. One absolute rule that everyone should follow is to put all equipment back where it belongs as soon as it done being used. Both humans and horses may get caught or hurt themselves on equipment, objects, or tack that is carelessly left in inappropriate places. Wearing slip-proof footwear, helmets (when needed), and functional clothing that stays close to the body will help prevent many injuries. Barn and stable fires can be fatal to both horses and humans. Smoking should be banned within 50 feet of barns and stables. Fire extinguishers should be located at every exterior door and next to the main electrical panel box. Hay and all combustibles should be properly stored and electrical wiring and switches checked on a regular basis to prevent fire. 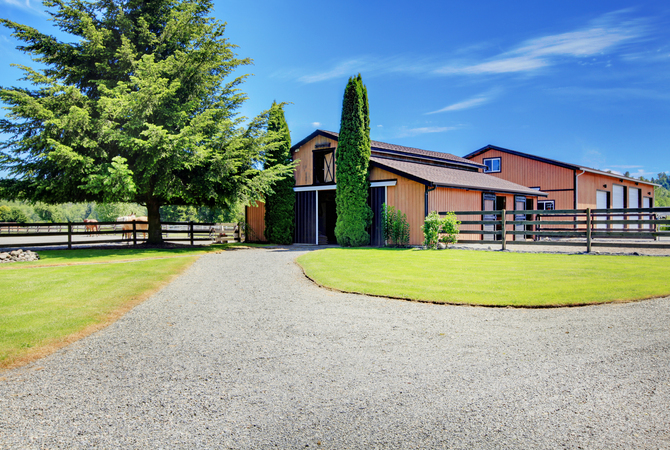 Barn and stable layout should be safety-oriented, with exits clearly marked in case of emergency. Ceilings should be 8 to 12 feet high and door frames a minimum of 8 feet high and 4 feet wide for easy ingress and egress. More than one exit should be provided in all cases. Horses should be respected as the large animals they are. No shouting or running should be allowed in the stable or barn areas. Never assume a horse heard or saw you approaching and don't touch a horse unexpectedly. A swift kick may be the result. Use proper tack and lead rope with horses and make sure it is adjusted properly to prevent accidents. Check all doors and latches before leaving stables and barn areas, thereby preventing horses from getting loose, causing damage or ingesting things that may cause colic. Never allow children to play unattended around barns or stables and make sure a responsible adult is present to monitor children in these tempting, but dangerous, areas. When working with dusty hay, chemicals, or in situations where dust is kicked up, always wear appropriate respiratory gear to prevent lung and respiratory damage. All floors should be kept clean, dry, and in good repair to prevent slips or falls. 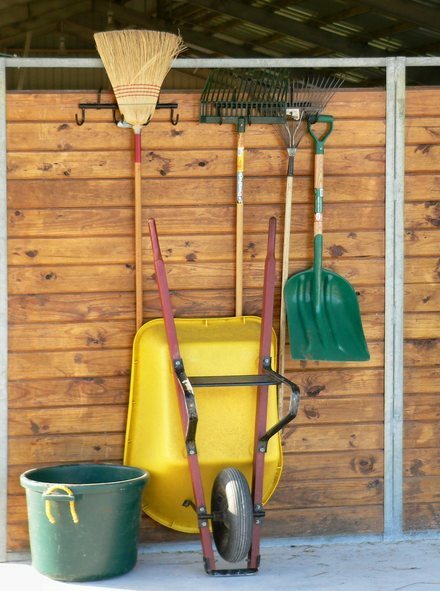 Keep clutter and equipment out of barn aisles and stables by organizing on a wall. Ropes, pitchforks, tack, and other equipment should be kept off floors and in their proper storage areas when not in use. If the barn has plank floors, any loose, uneven, or worn boards should be either replaced or repaired. Handling and feeding animals can create air quality problems with dust and other contaminants. Installing floors that are as self-cleaning as possible can help reduce dust. Keep ventilation systems in top working order by cleaning all vents and providing good circulation of air. Barn fans and vents require routine maintenance and cleaning for maximum efficiency. When feeding, take care to avoid creating additional dust with the movement of hay and other feed. If possible, feed horses outdoors instead of in the barn. When feeding in the barn, using pelleted feed or adding fat to feed will help reduce dust levels. Keeping you and your animals safe is a top priority. If you enjoyed this article, we also suggest Selecting a Home for Your Horse.